Acupuncture is one of the oldest continuously practiced healing systems in the world, dating back thousands of years. By focusing on the powerful interconnections of body, mind and spirit, acupuncture is very effective in restoring health and preventing future imbalances. The practice of acupuncture is based on understanding the flow of qi, or vital energy in nature and in ourselves. The Chinese have mapped the flow of qi through our bodies along specific pathways called meridians. When our qi is full and flowing, we experience health. When our qi is obstructed or imbalanced, illness and pain can occur. The symptoms we experience are signals that we need to take measures to restore balance. An acupuncturist works towards this end, adjusting energy flow by stimulating particular points along the acupuncture meridians. 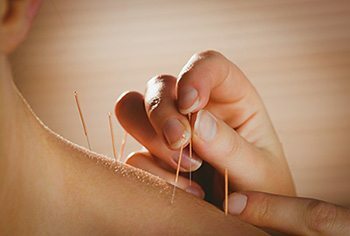 When appropriate, acupuncture can be combined with herbal medicine, and/or Western medical treatments, psychotherapy and lifestyle adjustments for optimal benefits. What are the tools of Acupuncture? 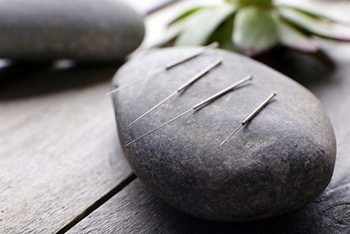 Acupuncture needles are refined instruments used to contact the patient’s energy. They are solid, slender, and barely thicker than a human hair. All needles used at the Academy’s clinic are made of fine quality stainless steel, pre-sterilized, single-use and disposed of safely according to national health and safety regulations. Acupuncture needles are inserted just below the surface of the skin. Most times you won’t feel the needle’s insertion. However, you are likely to feel different sensations of your energy’s stimulation. These sensations will vary from person to person, but many patients describe feeing a dull ache or a tingling that dissipates in a few moments.